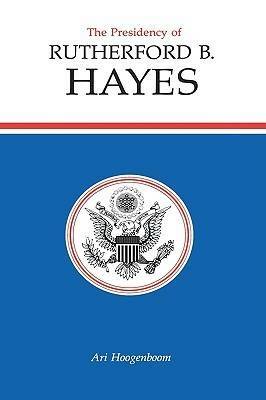 This new interpretation of the Hayes administration contradicts the widely held view that Hayes was an inept politician and an ineffective leader. Hoogenboom argues that it was Hayes's character and personality that set his presidency apart in the Gilded Age. This volume covers all issues, decisions, and developments during the Hayes presidency--from the withdrawal of troops from Louisiana and South Carolina that signalled the end of Reconstruction, through the Great Strike of 1877--the most violent general strike in American history--and the Nez Perce War, to the struggle for civil service reform and the fight to preserve voting rights. Hoogenboom credits Hayes with being a patient reformer, principled but practical, cautious yet courageous. His honesty and decency echoed the pristine values of the early American Republic, while his attempts to rally support by emphasizing issues and policies--rather than by relying on political organization--anticipated the style of twentieth-century presidents.